"Despite significant recent strides in the field of stem cell biology, the evolutionary mechanisms that give rise to novel stem cell niches remain essentially unexplored," said Ophir Klein, MD, PhD, a senior author on the new study and Larry L. Hillblom Distinguished Professor in the UCSF School of Dentistry. "In this study, we have addressed this central question in the fields of evolutionary and developmental biology." Researchers are learning a great deal about the genetics and cell biology that regulate the behavior of stem cells, but little is known about the specific switches that turned these processes on and off over the course of evolution. Having access to extensive data on fossilized teeth was crucial to the new study because, unlike classic adult stem cell systems studied in labs, such as hair follicles and blood, teeth are the only organs that can be found in fossil form, and "the only proxy we have for stem cell behavior in the fossil record," said Klein. The new work was performed by first authors Vagan Tapaltsyan, DDS, a doctoral student in Klein's lab, and Jussi Eronen, PhD, a paleontologist at the University of Helsinki in Finland, and co-led by Klein and Jukka Jernvall, PhD, of the University of Helsinki. The scientists analyzed 3,550 North American rodent fossils between 2 and 50 million years old. Selecting only one example from each genus at each time point, they eventually studied 1,169 fossils. 50 million years ago, all rodents had short molars, just as humans do. But as the climate cooled and became more arid in the Cenozoic period, the landscape turned to grasslands and the plants in rodents' diet became rougher and more abrasive. Over time, many evolved taller and taller cheek teeth, giving them a competitive advantage. "The reason for higher-crowned teeth is that the animal has more tooth to wear down," said Klein. 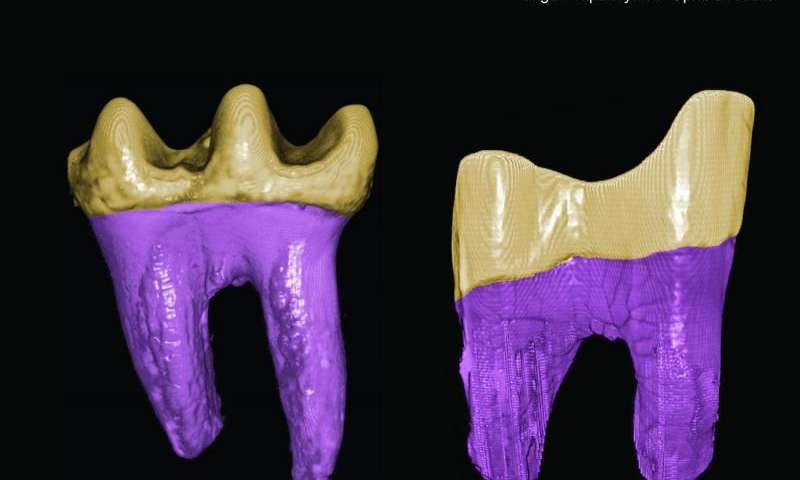 The team found that, once teeth began to grow even slightly higher, the path to ever-growing stem cell teeth was inexorable. "You're locked in this trajectory," said Klein, whose work focuses on organ formation in the embryo and how organs renew and regenerate in adults. By the Pliocene, 5 million years ago, about 75% of all North American rodent species had tall-crowned molars. As Tapaltsyan explained, the finding supports the so-called Red Queen hypothesis in evolutionary biology, which states that once an evolutionary path is begun, species must continually adapt or fall behind. It is named for the Red Queen in Lewis Carroll's Through the Looking-Glass, who tells Alice that, "it takes all the running you can do, to keep in the same place." "What it tells you is you basically don't ever revert back," said Klein. "In this case, that's probably because the cost of having continuously growing teeth is relatively low, so even if you no longer need them in some new environment that you're in, they don't go away." As for the mechanism that allowed the shift from longer teeth to continuously growing ones, Klein thinks it's probably linked to a regulatory element of DNA that activates the transcription of a gene or genes. "It's likely the process involved reutilizing the same genes that drive constant growth in the front teeth to enable this process in the back teeth," he said. 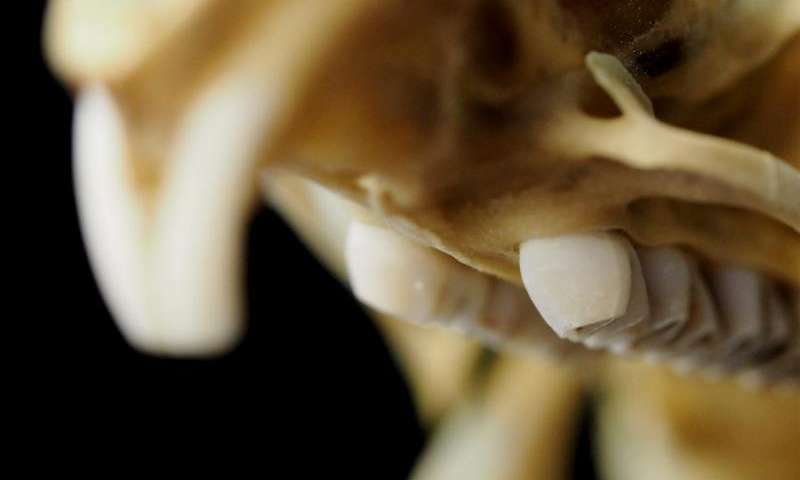 Humans, notes Klein, are unlikely to evolve continuously growing teeth, as we now have short teeth and there's no evolutionary pressure on us to acquire longer ones. Even if there were, "we would have to go through multiple steps that would take millions of years." Re: "the mechanism that allowed the shift from longer teeth to continuously growing ones... probably linked to a regulatory element of DNA that activates the transcription of a gene or genes." The claim that evolutionary pressure would require "...multiple steps that would take millions of years" for evolution of our teeth to occur is not supported by experimental evidence of biologically-based cause and effect in any species.